InVogueJewelry: SILVER: Sterling? Plated? What the Heck is "Sterling Plated"??! SILVER: Sterling? Plated? What the Heck is "Sterling Plated"??! Silver is a beautiful metal, one of the three precious metals (besides gold and platinum). In its pure form, it's very soft and therefore doesn't work for jewelry---it would bend easily and stones would fall out of settings, for example. So it is alloyed with other metals, primarily copper, to give it strength while retaining the beauty of the silver. STERLING SILVER - marked 925 or .925 or sometimes "sterling". 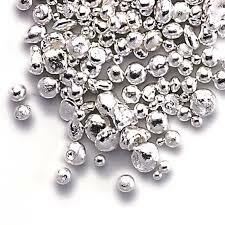 This is pure silver that is mixed with an alloy to harden it, so it can be worn as jewelry. The "925" means it is verified 92.5% pure silver, and 7.5% alloy. It is almost always alloyed with copper. Sometimes other metals are used, such as platinum and germanium (Argentium sterling silver) in an attempt to reduce tarnish. Sterling Silver, as a precious metal, is considered fine jewelry. SILVER PLATE - is NOT "sterling silver" in any way, shape or form! There is NO SUCH THING as "sterling silver plated" or, what I saw today, "925 Sterling Silver Plated"! That is totally a lie, and used to make buyers think that the item is somehow as nice as actual sterling silver. There is an ENORMOUS difference between silver plate and sterling silver. 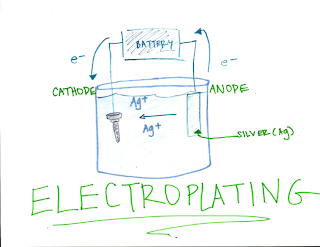 Silver plate is any metal (mystery metals) that is plated with actual silver. It could be plated nickel, brass, tin, plastic, anything---but it is not in any way related to Sterling Silver. AVOID SELLERS who claim this, because if you can't trust them to be honest with this small thing, forget trusting them about anything! Silver plated items are nothing more than any metal that has a VERY thin layer of silver applied via an electroplating process. 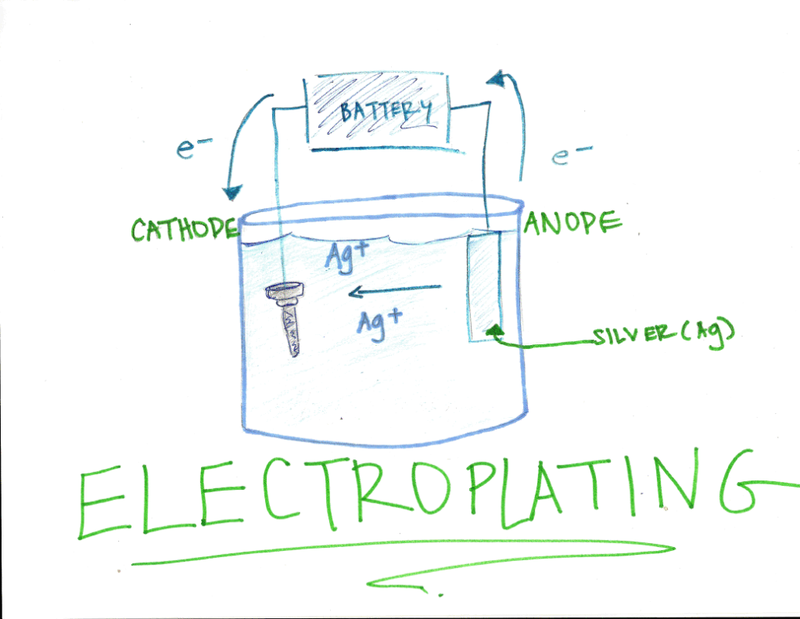 It's not "sterling silver" that is electroplated---that is impossible! Sterling ONLY refers to something that is silver throughout---SOLID----and not any metal that is plated with silver. Sterling ALWAYS is hallmarked as sterling to assure you that it is, in fact, pure precious sterling silver. This silver plate is costume jewelry. Silver Tone - this is just any silvery metal, could be lead or tin or anything. Costume jewelry. VERMEIL - Vermeil is sterling silver with real gold, usually 18k gold, bonded to the sterling, and the gold layer is quite thick. It is hallmarked 925 to indicate the underlying sterling silver metal. It is not electroplated, but layered and bonded to the sterling. Good quality vermeil will last a lifetime, meaning the gold will not wear off. You will usually pay a little more for vermeil than plain sterling because of the gold content, but you know you are getting real sterling, and not a thin, gold plated mystery metal item. Vermeil jewelry is good quality fine jewelry and worth looking at for investment. In order to qualify as Vermeil, it has to have a minimum of 2.5 microns of at least 10k gold. Normal gold (or silver) plating has far less gold, at .175 microns. Just to mention: Sterling Silver is always ALWAYS 92.5% pure silver. It doesn't matter if you buy something from Tiffany's or something from Target, if it is marked "925" it is Sterling Silver---the SAME no matter where you get it. The actual silver (the metal itself) from Tiffany's is not "better" or any different than from anywhere else! Just something to keep in mind when shopping. And please remember: ALL STERLING SILVER WILL TARNISH. It doesn't matter if it cost a fortune or not, is old or new, from Europe or Thailand, if it is sterling silver, it WILL tarnish! Rhodium is applied to sterling to HELP PREVENT tarnishing, but it doesn't stop it. So whenever you see claims that this item "will never tarnish" because of blah blah blah, that is FALSE. It will tarnish! It just depends on external factors, such as the environment, the air, air pollution, chemicals it touches, even a person's body chemistry which also changes from day to day. BUT it's very easy to clean (just swipe with a silver polishing cloth, and polish with the polishing side to also HELP prevent future tarnishing) and it's like brand new! EASY. Star Sapphires: Natural or Synthetic? What's the Difference Between Topaz and Quartz?